CUNARD SPENT £90 MILLION on a complete “remastering” of flagship Queen Mary 2 – but they couldn’t do anything about the British summer weather. Freshly painted after 23 days in dry dock, and with newly built extra cabins and completely refreshed restaurants, the liner slunk out of Southampton under sodden skies on Referendum Day. Her younger, smaller sisters – Queen Victoria and Queen Elizabeth – were in town as well, but even this auspicious get-together could not persuade the sun to appear. Loading of provisions – “eggs and bacon,” according to Captain Christopher Wells – overran, and she departed almost three hours late. At least by then there was some watery sunshine to send her down the Solent and into the Channel for another history-making crossing to New York. Previous gatherings of the Three Queens, usually an opportunity for Cunard to throw a big party in their home port, have had a similarly ruinous meteorological effect. I can recall fly-pasts by the Red Arrows being cancelled because of low cloud and firework displays fizzling out like a shower of damp squibs. The liner has travelled 1.78 million miles, crossing the Atlantic and cruising the world, since she was launched by the Queen in January 2004. 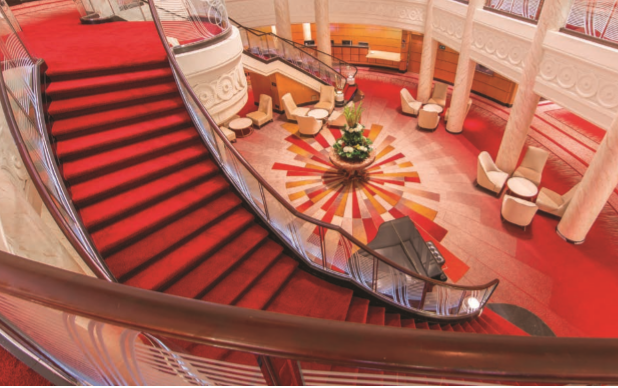 Now QM2 has been given contemporary new interior designs, some of them inspired by the original Queen Mary that launched at the height of the Art Deco movement in the 1930s. 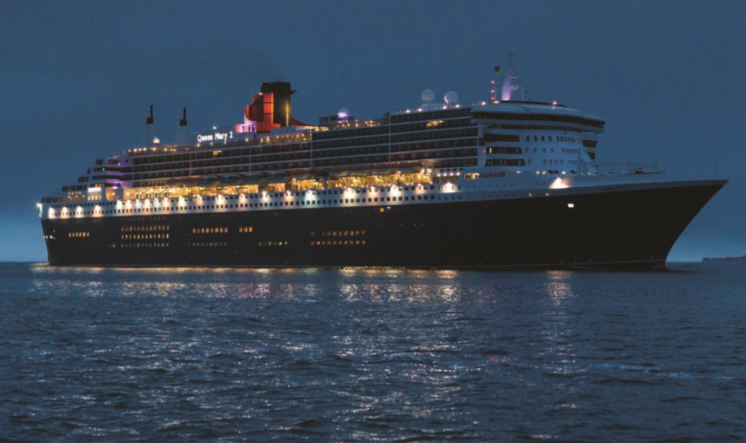 Cunard’s investment has ensured that every detail recalls the iconic vessel which became a symbol of British elegance. 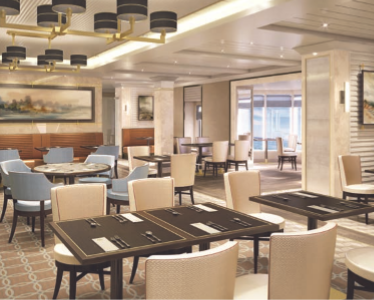 • Redesign and refurbishment of the Queens Grill and Princess Grill suites and restaurants, as well as Britannia staterooms – although work on these will continue until the end of the year. •The addition of 30 further Britannia Club staterooms, 15 Britannia single staterooms and five Britannia inside staterooms. •Redesign of key public spaces and restaurants, including the transformation of the former Winter Garden into the Carinthia Lounge, the introduction of The Verandah as the ship’s new speciality restaurant (replacing Todd English), and the refresh and restructuring of the Kings Court, the ship’s popular buffet area. It might be 10 years before QM2 receives another facelift on this scale. She’ll be well into middle age by then but I’ve no doubt she will still be looking good. Surely it wouldn’t be too much to ask the British weather to do the same?